SOME years ago I wrote a book in the UK about building works and how to go about them. This was in response to my own experience of running a construction company in London, during which time I came face to face with endless problems. Indeed, like most people, I came to the conclusion that any form of building work was invariably a nightmare, both for the builders and the owner of a property. Of course, building work in Spain is no less contentious than in the UK and has an equal habit of going wrong, one way or another. 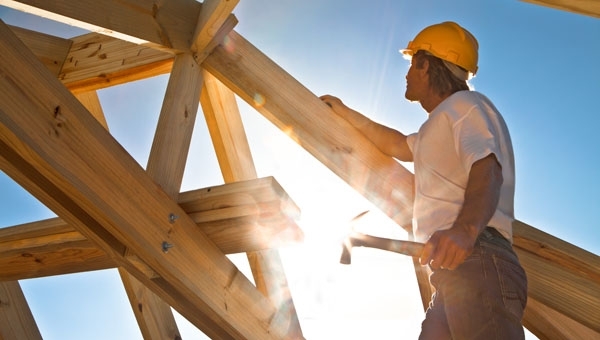 So, what can you do to make sure that your building project in Spain goes smoothly? The consequence is that a builder often does not know exactly what you want and is left to ‘find his way’ around a project, which can then suffer numerous alterations, as both you and he adapt to what is happening on a day to day basis. This, obviously, affects any initial timing and throws any pricing to the wind. A Schedule of Works. This should be a very detailed document that specifies exactly what work you want carried out. By exact, I mean that if you want a crack filling above a doorway then state ‘To raking out and filling diagonal crack above bathroom doorway’ or ‘To installing double electrical socket at 250mm height 500mm from the right hands side of master bedroom door’. In other words be precise and exhaustive and append any plans to the Schedule of Works. This will concentrate your mind, provide exact instructions to your builder and allow him to quote precisely for the work you require, using the Schedule of Works as the tender document. A Specification. A Specification is a document that details the quality of materials and workmanship to be used on your project. It will define such things as the type of paint, bricks, piping, cabling etc to be used, together with such things as any sanitaryware, kitchen units and so on. It will also detail the skill required of any workers. This is an important document and essential should there be any arguments or disputes (particularly if there is court action) relating to the standard of the workmanship or materials employed on your project. A contract. This must be in writing and expressly tie you and your builder to the Schedule of Works and Specification. It should also deal with the question of project start and completion timings and provide a schedule for payments for the work (with a10 per cent retention for three months after completion). The question of additional works (and thereby any alteration to the timings and costs set out in the contract) must also be addressed and the contract signed by you and your builder. Of course, developing a detailed and accurate Schedule of Works, Specification and Contract is not something that everyone can do. Indeed, there is much to be said for employing a building surveyor or architect to do this for you. You may, initially, resent paying for this but it will, without doubt, save you thousands of euros, even on a small value project.